It's not just a web site, it's your business! We can help you make a great first impression, and provide you with automatic updates and easy maintenance. Whether your project is large or small, we have a program just for you. Here is a sample of custom sites to start your wheels turning...there are many more! Rose City Realty features modern living for Portland lofts, condos and metro homes. ERA Freeman & Associates offers expertise and friendly local real estate services. 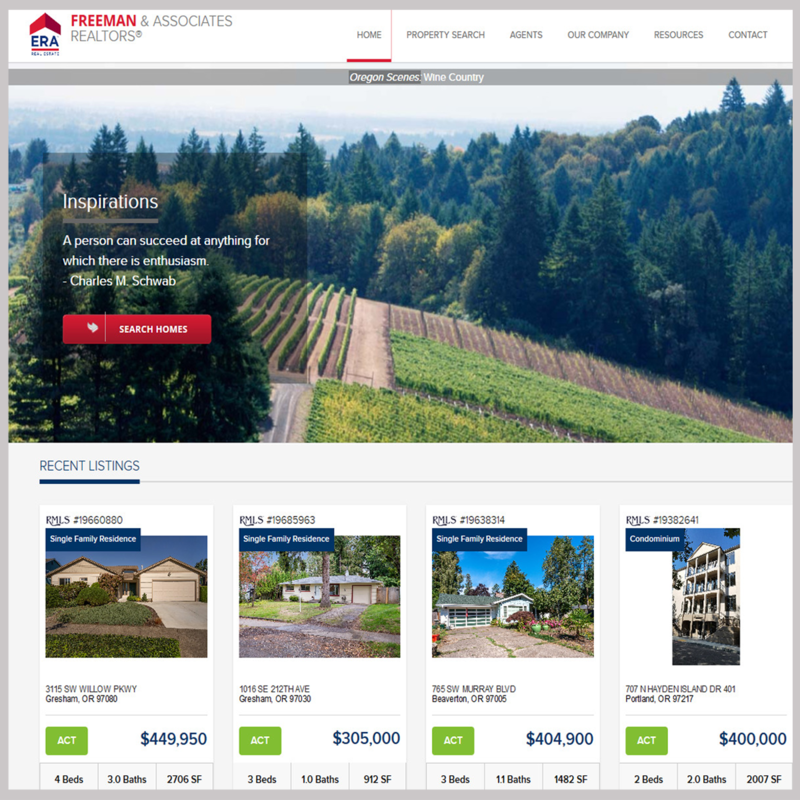 An extensive resource for Oregon Realty Co., one of the largest local real estate companies. Sherie Hawley offers creative and experienced real estate services for Portland and Eugene. Locally owned Home-Sellers White Realty excels at real estate and property management. The Rogers Team specializes in Portland's Eastmoreland neighborhood. This experienced team will give you a Pearl District tour in their unique company car! Focused on Portland luxury condos and the condo lifestyle. For The Cooper Team at Portland Condos LLC. We've created sites for real estate, property management, membership organizations, builders, musicians and much more. We can create intranets, specialty searches, and database-driven sites of all kinds. Profit from our experience. Contact us today to discuss your online marketing plans.